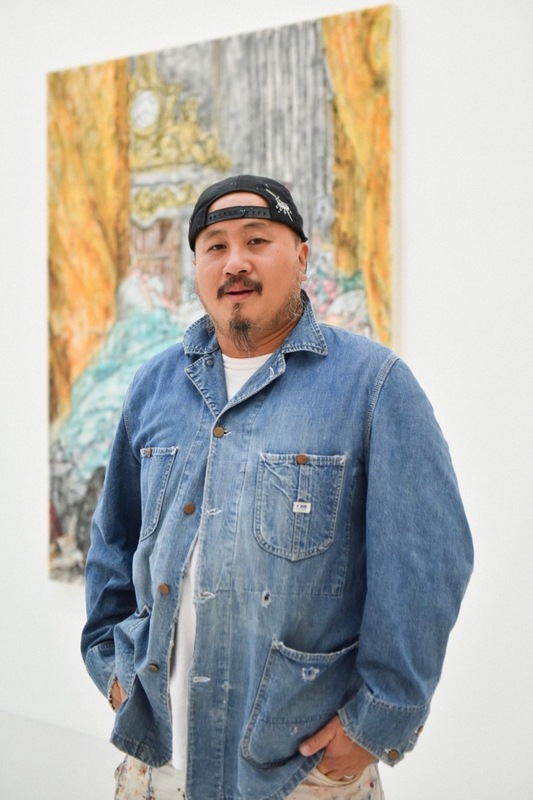 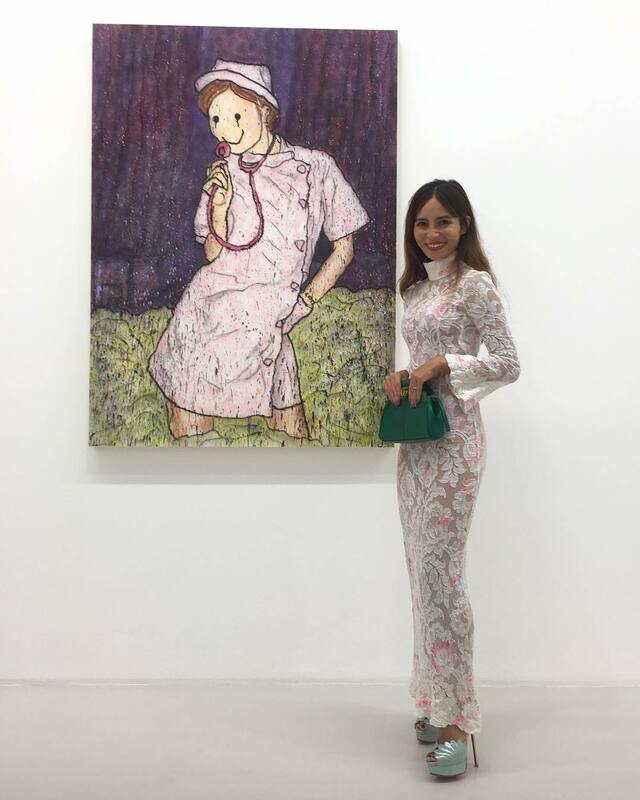 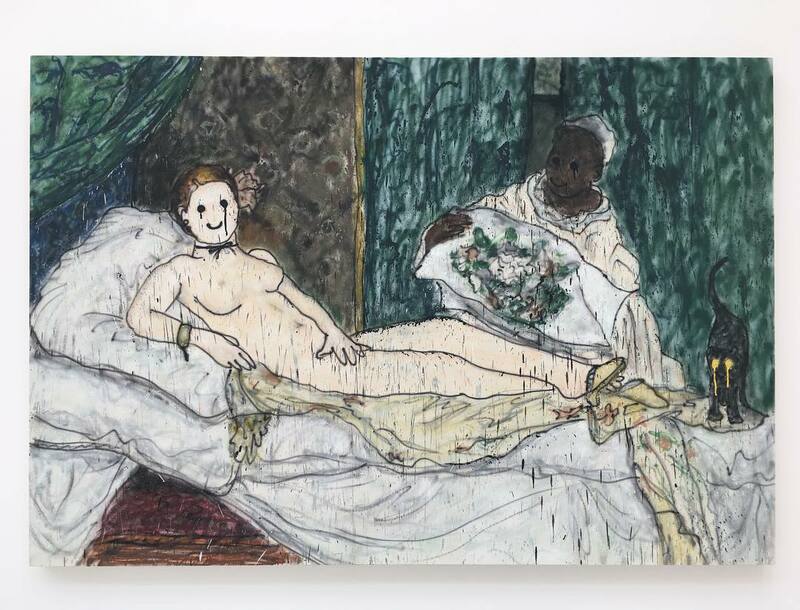 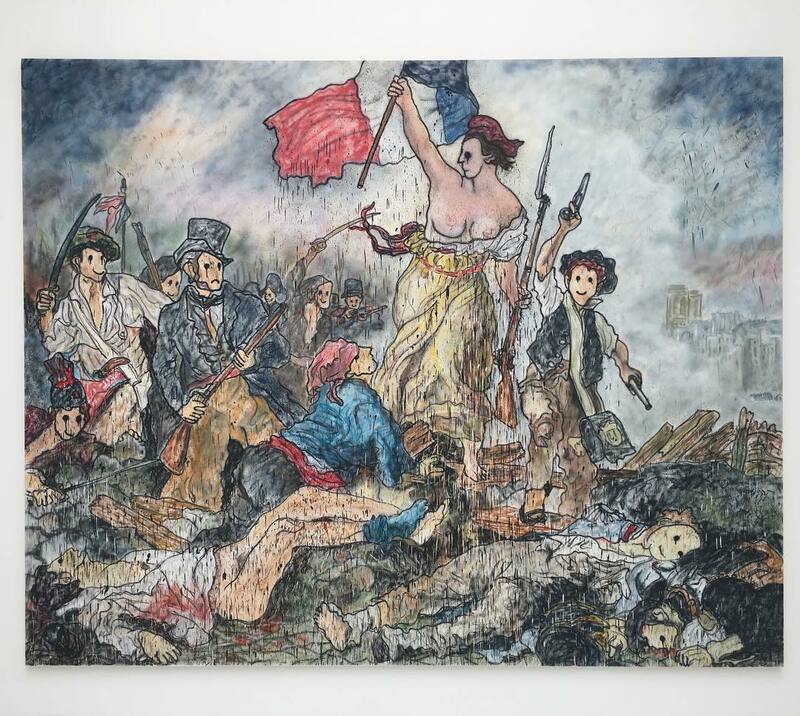 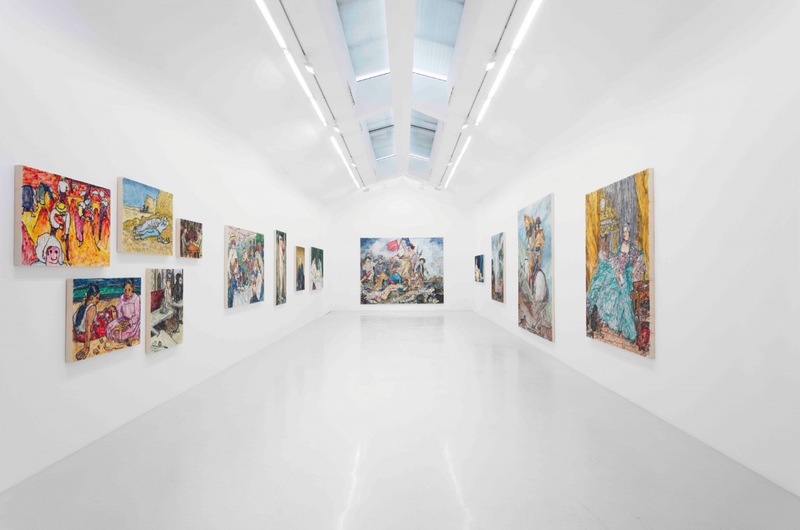 Last week, Galerie Perrotin opened a solo show from Madsaki entitled French Fries with Mayo, the first time the Japanese artist has exhibited in Paris. 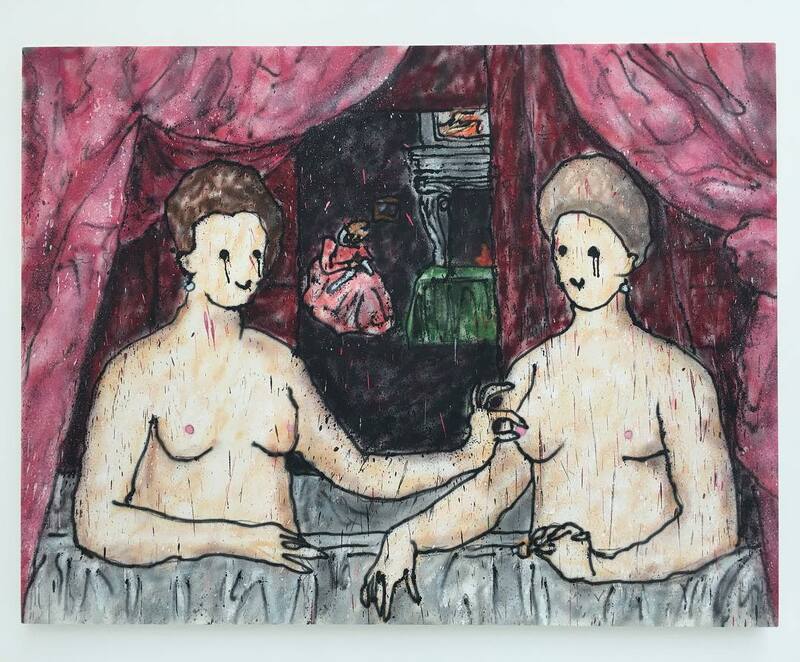 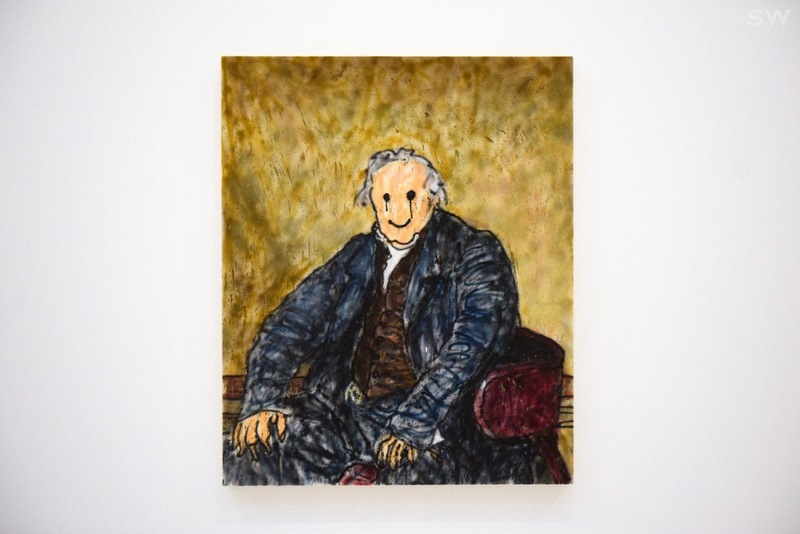 On view are mostly pieces featuring his wife as his muse and pieces from his signature Wannabe series, crude imitations done in spray paint that initially can be be seen as critiques on masterworks from art history, but in actuality are his “attempts to use laughter and humor as both distraction and therapy for his internal turmoil.” To prepared for the exhibition, he visited French museums and picked masterpieces from artists like Gauguin, Monet, Manet, Delacroix, Ingres, and more to remake in his distinctive style (see here, here, here & here). 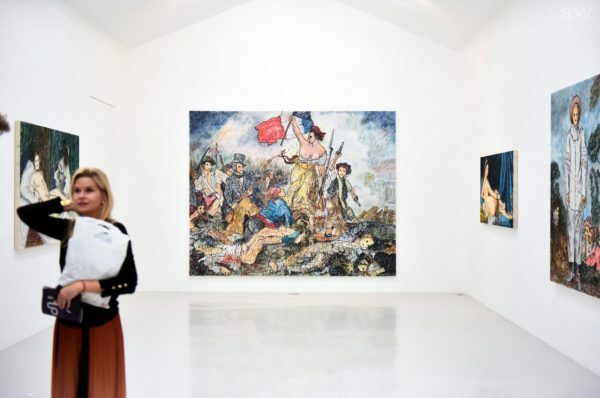 Photo credit: Galerie Perrotin, @juliesgreen, @jfoulatier, @docere_delectare_movere and Jean Picon (via Say Who). Categories: Contemporary Art, Shows & Events, Videos. 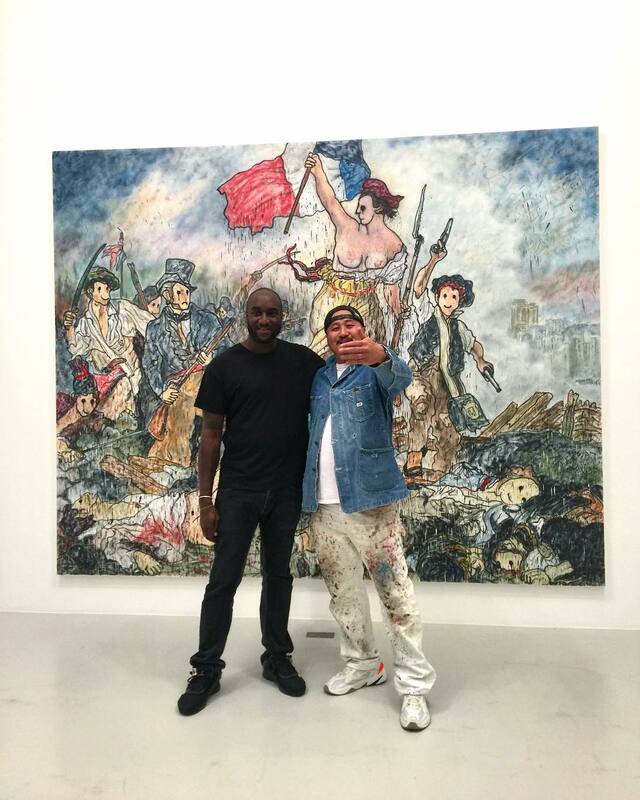 Tags: Contemporary Art, featured, MADSAKI, Paris, Shows & Events, slider-featured, Videos.